Subspecialties: Invasive cardiology, interventional cardiology, cardiovascular surgery, angioplasty, Percutaneous coronary intervention, Valvuloplasty, Percutaneous valve replacement, Coronary thrombectomy, etc. 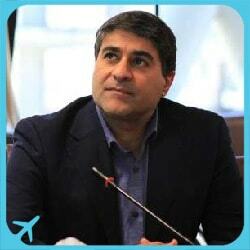 Dr Javad Kojouri was born in 1970 in Shiraz. He attended Shiraz University of Medical Sciences to study medicine and graduated from that university with the degree of doctor of general medicine in 1996. 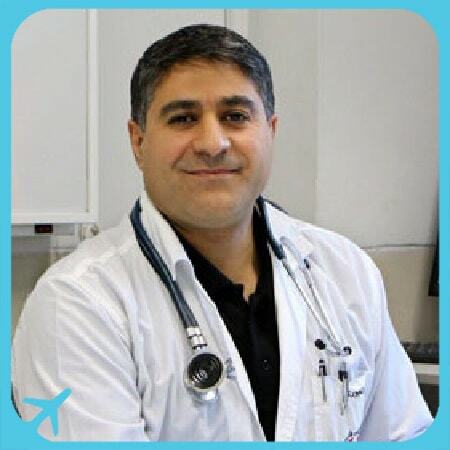 Dr Kojouri then pursued his education at Shiraz University and was awarded a degree as a cardiovascular specialist. A fellowship in invasive cardiology followed for Dr Kojouri, this time from Iran University of Medical Sciences and in 2003. Dr Kojouri is currently an associate professor of cardiology at SUMS and the head of the department of cardiology of that University. Aside from such major achievements as outlined before, Dr Kojouri has also finished complementary courses on carotid arteries in foreign countries such as Italy, France and Germany. Numerous workshops on various subjects were held by Dr Kojouri throughout years of service both for students and professors at Shiraz University. It is worthwhile to note that Dr Kojouri is one of the co-founders of the ICU unit at Faghihi Hospital. Furthermore, this noted cardiovascular specialist has performed numerous angiographies and angioplasties, both individually and in collaboration with other doctors. Among his accomplishments are the first below-the-knee angioplasty in the Middle East and the first Carotid angioplasty and stenting in Shiraz. This highly-accomplished doctor has also published widely on various issues related to the field of cardiology and has been vastly celebrated for his achievements by the medical community.